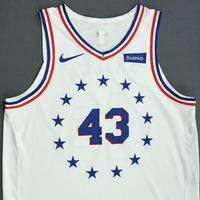 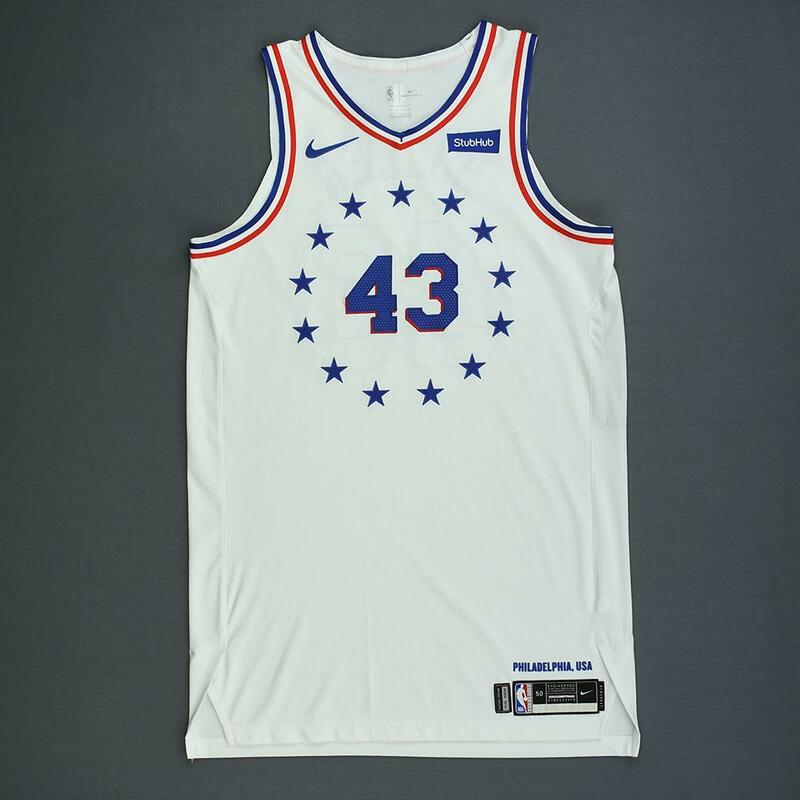 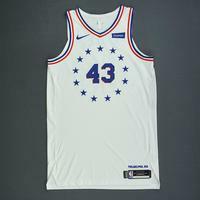 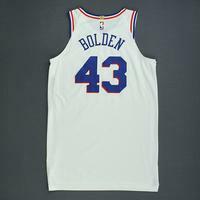 The NBA and MeiGray are proud to offer fans and collectors across the globe the opportunity to own a piece of history... a jersey worn in a game during the 2018-19 National Basketball Association regular season, by #43 Jonah Bolden of the Philadelphia 76ers. 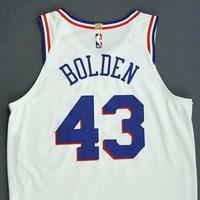 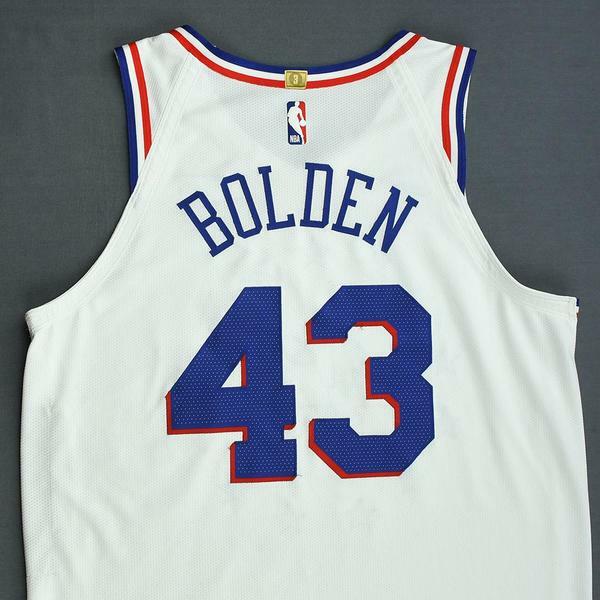 Bolden wore this jersey during the 76ers' 121-114 loss to the Boston Celtics on December 25, 2018 at TD Garden in Boston, MA. 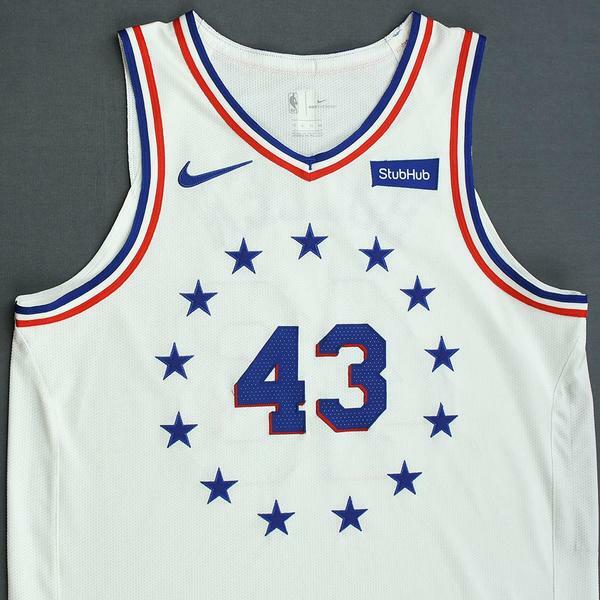 This was the first game that Philadelphia wore its new Earned City Edition jerseys. 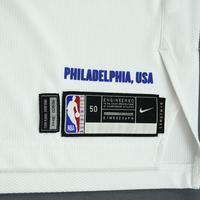 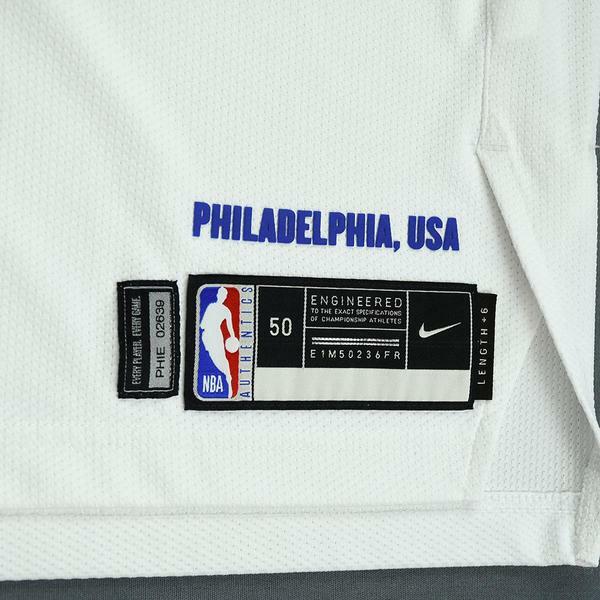 This white jersey, a Size 50+6 inches extra length, is registered into the NBA and MeiGray Game-Worn Jersey Authentication Program as number PHIE02639.